Is your PDI process behind? Is your online new car inventory littered with “coming soon” and mismatched stock photos? Have you ever considered how many new cars you spend time and money photographing that are identical to other cars on your lot? What if you could just automatically clone photos on all the matching cars without having to reshoot each one? New Car Photo Cloning to the rescue! If Photo Cloning finds an existing car (or cars) with the same Exterior and Interior features, it uses the photos for the New car. Stop waiting days, weeks, even months to get photos of a new car online because it hasn’t been PDI’d. Stop paying your photo vendor full price to shoot replica cars that already exist with photos in your inventory. Stop battling your photo vendor and your own detail department over what New cars are ready to shoot. The following OEM’s have either OEM build data or Chrome data available to be able to provide accurate data for your inventory to match photos on a 1 to 1 basis. NOTE: Other OEM’s may be compatable based on the amount of data available in the dealer’s DMS and/or Chrome data. How do you Match My Vehicles? • Our proprietary, patented software ingests your new vehicle inventory data from any source. • Original inventory data is standardized and decoded using OEM Build Data, dramatically improving vehicle options and equipment for supported franchises. • If OEM Build Data is not available for your franchise, the vehicle and options data provided in your data feed will be standardized using Chrome Data before our algorithms attempt to match vehicles. • Proprietary algorithms then locate “identical twins” across all new vehicles by matching your vehicles to the Series level and by color combinations. And the exact Option codes for each vehicle are then used to identify the “identical twins” amidst similar vehicles (i.e. fraternal twins). Is OEM Build Data Available for all my Franchises? 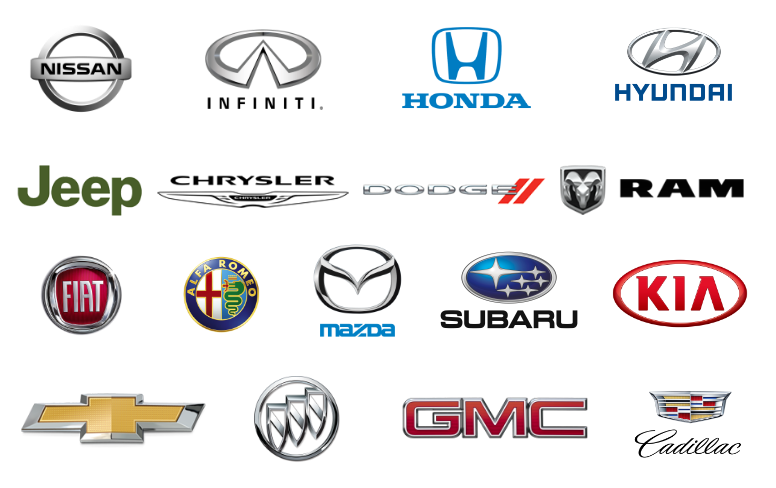 The following franchises are currently supported: Alpha Romeo, Chrysler, Dodge, Jeep, RAM, Hyundai, Buick, Infiniti, Nissan, Cadillac, Fiat, Chevrolet, GMC, KIA, Subaru. Honda is also supported by alternate data. If OEM Build Data is not available for your franchise, the vehicle and option data provided in your data feed will be standardized using Chrome Data before our algorithms attempt to match vehicles. Does AutoUpLink have to be my photo service provider to use Cloning? No. Photo cloning is a stand alone product and will work with your existing provider or in-house process. Would you like a free analysis of your dealership’s inventory? Complete this form to see how photo cloning can help you.